NOTE: This is the unchecked report and I am posting this "as it is"
and may contain errors. The corrected and modified version will be posted as soon as I get it in hand. This project is about surveying the world of wireless and inspecting the various services such as network coverage, strength, capability, throughput, obligations and much more using specialized Software, named “Ekahau Site Survey” and dedicated hardware for Active and Passive surveying. A team of two students will be deployed initially in the Faculty of Engineering and Trades Building and Library at Manukau Institute of Technology, with all the required equipment to conduct the survey and then moving on further to other buildings, because most of the signal dropping and bad coverage issues are being reported by users of following two buildings in past few weeks. Every result including the successful and failed surveys will be documented by following the proper documentation guidelines, including the steps taken to eliminate the flaws in the Final report with demonstration. Live updates are made available publicly at www.mitengineering.blogspot.com, featuring frequent updates on progress and outcomes until the completion of project. It’s been a long way human civilization evolved technically from Transistors and ENIAC to more complex Quantum computers. 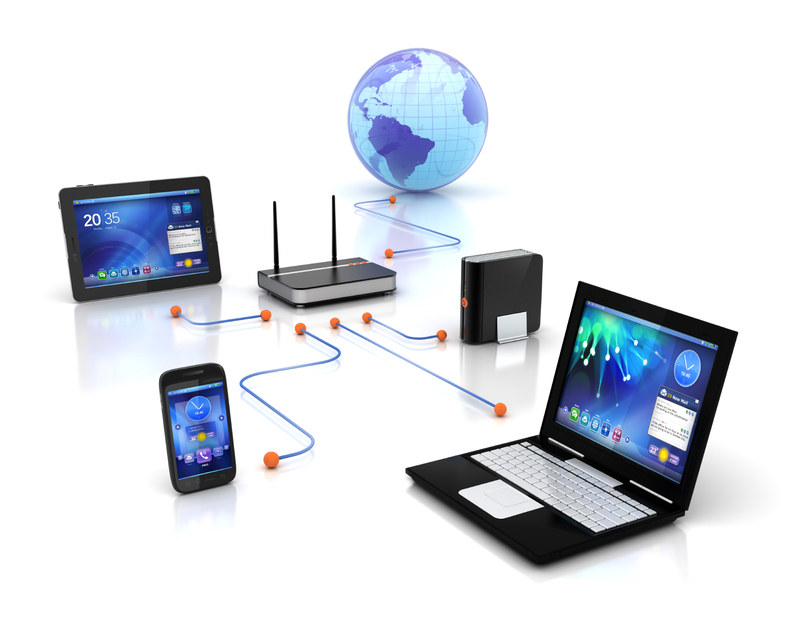 One of the most important milestone in the journey is evolution of wireless technology. Wireless these days is one of the most important mean of communication, and influences everyone’s life on earth in direct or indirect ways. For instance if someone is speaking to their loved ones over a cellular phone call, there’s a lightning fast exchange (both sending and receiving) of Wireless Signals enabling them to convey their thoughts in real time; or weather while unlocking a car, which looks as simple as pressing a button on the key, is based on wireless technology. 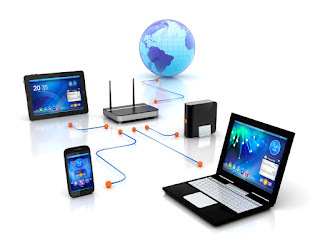 Wireless is everywhere these days, conveying important, confidential, scrambled data within the web of crusts and troughs at a wide band of various frequencies. But keeping the wireless network alive is also a big challenge because of the variations in client volume and usage type. As people, these days, are frequently switching to portable devices rather than old wired ones, and BYOD (Bring Your Own Device), introducing new challenges to the IT Administrators by adding unexpected volume of users and traffic. Unlike every other machinery, even wireless networks needs proper maintenance and preventative measures for providing best service to the clients and keep the Network stable at peak usage times. Even a minor change in the furnishing/arrangement of room may bring big difference in network quality and capability. Wireless signals can penetrate and absorbed by every object that comes in its way, therefore the rate of signal absorption by a specific material is a major point brought into consideration while placing the Access Points to cover a certain area. The Wireless services inside the Buildings discussed above are usually very busy from morning 7:00AM until 8:00PM in the evening and therefore there’s no chance of errors while surveying. A single internal router would have too much load on it, if it was to be the only access point in an entire building, plus the signal strength would decay as going away from the room where the router is placed, leaving the corner ends totally unreachable (to provide the network) that’s where Access Points comes in, as it is connected to the main router via cables and can be placed in rooms or specific places to cover the whole building providing excellent signal strength and bandwidth with no excess load over the central system. But one should know the exact point to install the AP so that it doesn’t waste the resources by placing two APs close to each other or leave a black hole where the network could not be accessed wirelessly due to placement of two APs, too far away. · ESS supports Online Maps integration which facilitates Administrator to make changes based upon real time changes in Network Requirements. · It can automatically (Based on area to be covered and Access Point used) place the APs at exact location to meet the requirements of the building or area. · ESS enables for Administrator to auto configure APs locations by enabling Administrator to import Building Maps in various formats such as .jpg, .jpeg, .PNG, CAD files and much more. · It builds the real time network heat-maps when the Administrator moves throughout the building and scanning all areas and corners using GPS for coverage black holes. · It scans almost all properties of wireless including vulnerabilities, providing suggestions and analysing the impact of material’s signal absorption rate. To make resources available, based upon the size of the project which in this case is a small project, an estimate of $20,000 (NZ Currency) is considered sufficient for effective results with quality output. Surveying a Building is not a task for single person, as there must me someone taking notes of the results for later analysing and documentation, therefore at least a team of two is deployed in our senerio to conduct the survey and for efficient and accurate outputs.Also, project Supervisor must continously monitor the actions and provide suggestions for overall quality output. A reference guide for this project being used is ”Manukau Institute of Technology CCNA 3 Wireless Chapter Slides” for basic wireless properties and to learn more about wireless protocols, also Ekahau website and Ekahau youtube is too handy to learn more about the company and products they manufacture, proper operating tips and guidence, webinars, demonstrations to conduct the survey efficiently. Lastly but not the least, Paulo (ICTS MIT) has helped us a lot by providing us the full version slides highlighting ESS features and qualities over other similar vendors, as well as other achivements about the Company, Business Associates and Customers etc. Students are requited to be highly motivared and active during the entire project cycle, therefore a Frequent meeting is necessary with the Supervisor to encouragement and motivating them. This will minimise the posibilty of occourence of errors while performing the tasks. As the project is being deployed on small scale, a sum of NZD 20000 is expected to be the total cost of the project based on cost of the required tools, equipment and reserve funds for moving or replacing APs if needed. Below is the Gantt chart representing the Project timeline based on task duration and their start date (week). Note: The Shaded region represents tasks to be completed. The chart at the left illustrates the Resources being utilized during the execution of tasks per weekly based upon the activities and hours spent performing the tasks. This report illustrates the new obstacles in front of IT Administrators to qualify for the new market needs and to satisfy client needs by providing them secure, reachable, top quality wireless network services. Also it shows, how ESS can prove to be very useful tool for any administrator to save lot of time and reduce their workload by calculating exact APs location based upon rate of signal absorption by different materials, overlapping Access Point coverage areas to enable switch between one AP to another without dropping connection and lot more other factors, helping them visualize their targets and achieve desired goals based upon the infrastructural needs. A transistor is a semiconductor device used to amplify and switch electronic signals and electrical power. It is composed of semiconductor material with at least three terminals for connection to an external circuit. ENIAC stands for Electronic Numerical Integrator and Computer is said to be the first fully functional computer built on October 19, 1943 and completed in 1946 by J. Presper Eckert and John Mauchly at university of Pennsylvania occupying about 1800 square feet of space and 18000 Vacuum Tubes weighting 50 tonnes. Rather than store information as 0s and 1s as normal computers do, a quantum computer uses a qubits, which can be a 1 or a 0 or both at the same time. This “quantum superposition”, along with the quantum effects of entanglement and quantum tunnelling, enable quantum computers to consider and manipulate all combinations of buts simultaneously, making quantum computation fast.